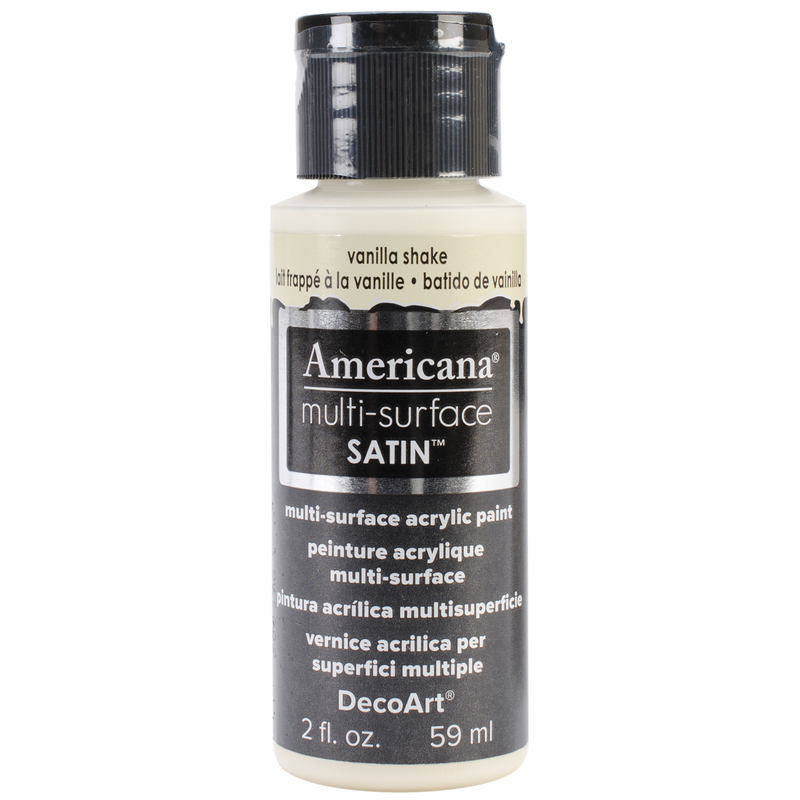 DECO ART-Americana Multi Surface Satin Acrylic. This provides the best adhesion, best finish, and best pigments to create the ultimate multi-surface paint! This do-it-all paint can be used on wood, metal, glass, terra cotta, ceramics, paper mache, most plastic, fabric and canvas. This package contains one 2oz bottle of satin acrylic. Available in a variety of colors, each sold separately. Conforms to ASTM D 4236. Made in USA.